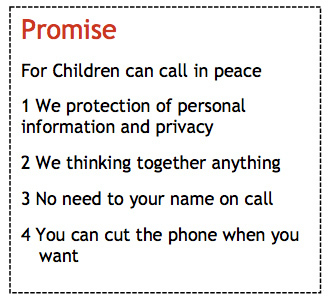 ChildLine is a free telephone service for under 18 years old. 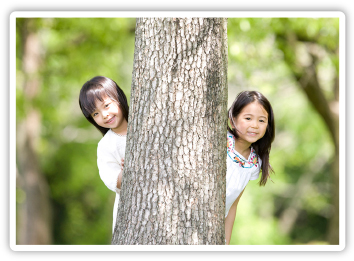 When they want to talk with somebody when they are troubled when they are glad, children telephone it. 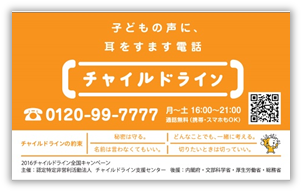 The telephone Number is “0120-99-7777“. 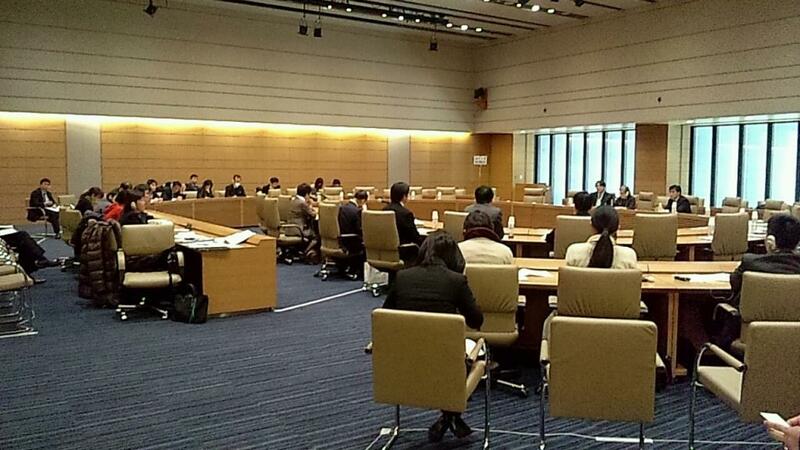 The charge becomes free to be able to talk about children in peace. 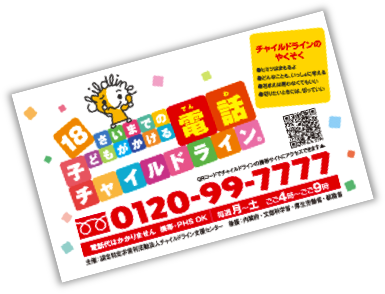 Now available is Japanese language. 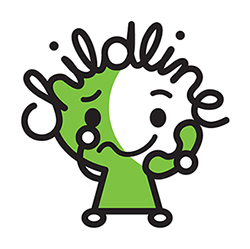 Since late 1990’s, ChildLine was started by the citizen group which inspected ChildLine UK when bullying was recognized as a social issue in Japan. 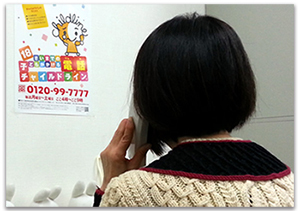 And then, the ChildLine Support Center was established Tokyo in 1999 in order to spread the ChildLine in Japanese society. 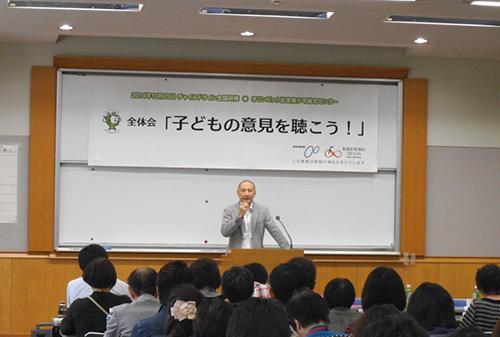 Currently we act more than 2000 volunteer in 70 locations from Hokkaido to Kyushu region. ・Listen child feelings and telling.